This is a group of ‘Old Contemptibles’ at the War Memorial in the Old Steine. The photograph was taken for the Brighton and Hove Herald in the mid 1960s. My father George Robert Powell is shown third from the left, but who are the other Old Chums in this picture? If you can identify one of your relatives or friends, please leave a comment below. Have looked for this photograph for years. The gentleman, third from the right at the front, is my grandfather, Charles Leslie Trotman. I have been checking out his WW1 history and as far as I can make out he served with the navy but I do remember his pride in being one of the ‘old contemptibles.’ Was this accurate when he was in fact with the RNVR at the beginning of the war? He saw active service throughout the war. 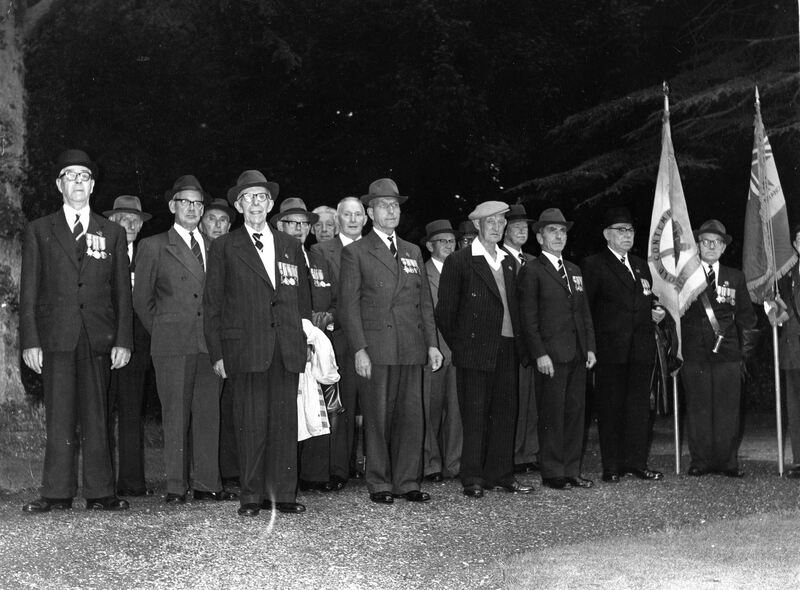 The old chap on the extreme right holding the Old Contemptible flag is Reginald Weeden, my great aunt’s husband. He was secretary of the Brighton branch for many years. He saw action on the western front throughout the war serving with the Duke of Cambridge Own (Middlesex) Reg. 2nd batttalion.